Looking for a smaller medieval sword, weapon or helm? 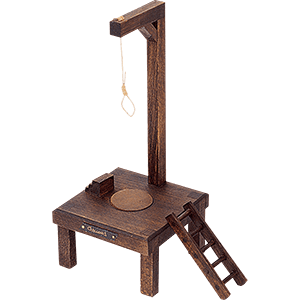 We carry miniatures of many items from the Medieval Era. 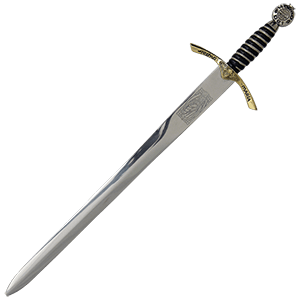 We have a variety of miniature swords and letter openers that closely replicate their larger counterparts with intricately detailed hilts and high carbon stainless blades. Besides miniature letter openers, we also have miniature weapon replicas like flails and tomahawks. 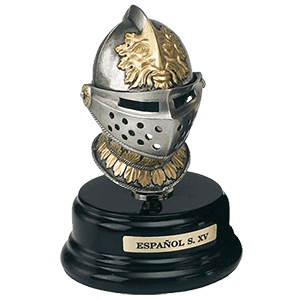 Our miniature cannons, shields, and helmets are all great for decorating your shelf or display cabinet. 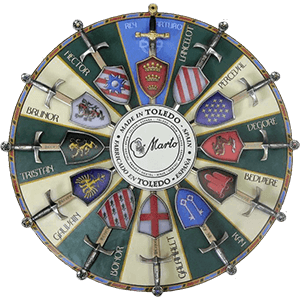 We even offer miniature Knights of the Round Table shields, which are great collectibles for any fan of medieval history or Arthurian legend. Sometimes, a full-sized helmet is an impractical thing. For whatever reason, be it the pressures of society or a very limited amount of available personal space for decoration, a full-sized helmet just is not an option. But all is not lost! We offer a number of miniature helmets that are still very cool and, even better, very friendly for those of us who have small amounts of space. Our miniature helmets are modeled after the helmets worn throughout the ages, so whether you want a Roman helm or a Crusaders helm, it is likely to be found here, so long as it is a miniature, of course. All of our miniature helmets feature realistic details. Whether you are using them for decor or as a collectible, you will find that our miniature helmets are up to whatever task you need of them. Whether it is the helm of a Viking, Roman, French, or Prussian warrior, our miniature helmets are just the thing to add medieval character to any space while taking up very little in return. King Arthur and the Knights of the Round Table remain popular symbols of equality and gallantry, even today. The stories and legends about this famous group of men inspires countless fantasies and stories about knights who fought for the greater good. These men, while sometimes flawed, struggled to always behave in a way that upheld honor and chivalry. You can celebrate these noble men and their arms with our miniature Knights of the Round Table set. This collection offers a number of miniatures based on the Knights of the Round Table, which is perhaps the most recognizable of King Arthurs symbols, short of, perhaps, Excalibur. Our miniature Knights of the Round Table set is made up of several miniature swords and shields, each of which corresponds to one of the knights who sat at Arthurs round table. Knights like Lancelot, Galahad, Bedivere, and Gawain are included, as are the others who are famed to have joined this king of legend at his round table. 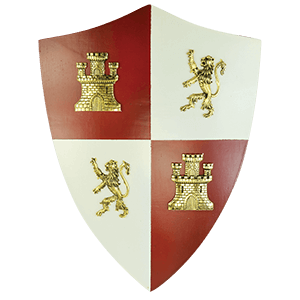 Each shield masterfully represents each knights personal coat of arms, while each sword is reproduced in wonderful detail. And of course, the round table is not complete unless Arthur and his Excalibur are represented, so we offer his sword and shield as well. Our miniature Knights of the Round Table set is perfect for anyone who loves Arthurian myth and lore. Medieval miniature items have a lot of appeal. Not only are they great for anyone who is somewhat space-conscientious, they are fantastic little display items that work wonders for keeping a medieval influence alive in your daily routine without having something that is obvious and utterly ostentatious cluttering your personal bubble. For these reasons, our miniature shields make ideal collectibles and decor pieces. Many of our miniature shields feature fully-colored coats of arms, some of which belonged to famous figures and kings throughout history, while others correspond either to famous places or groups. Not only are they quite the sight to behold, but our miniature shields can also be quite appealing to anyone and everyone. These miniature medieval shields are small enough to go virtually anywhere, and that is always a plus. 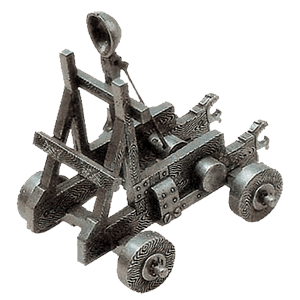 We carry a full line of miniature replica cannons, medieval catapults, battering rams, and trebuchets. These miniature replica siege weapons are very detailed and historically accurate. 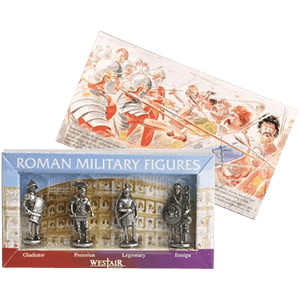 They are great collectible pieces and gifts that are ideal for wargamers and collectors. We have Civil War cannons, British Naval cannons, Louis XIV cannons, medieval catapults, Napoleon cannons, Spanish Naval cannons, and much more. Our cannons, catapults, and other medieval siege engines are made of cast metal and/or wooden parts. Cannons and catapults make great office desk decor or home decor items. Besides the miniature letter openers and mini swords, we offer other miniature weapons that are great for medieval collectors. We have miniature axes, flails, and tomahawks that closely replicate their larger counterparts, each with intricate, realistic detail. 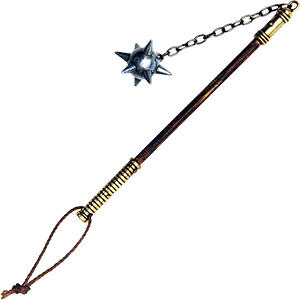 Many of these miniature weapons are made of cast metal and wood. Here you will find miniature versions of the weapons of Conan the Barbarian, alongside miniature flails, miniature halberd displays, and mini replica revolvers. Miniature weapons make great gifts at weddings, medieval themed parties, or as stocking stuffers at Christmas time. Keep your eye on this category because we have more miniature weapons to come in the future.